Congratulations are in order for some very special members of the Structures family, Herb and Dolores Kemp! 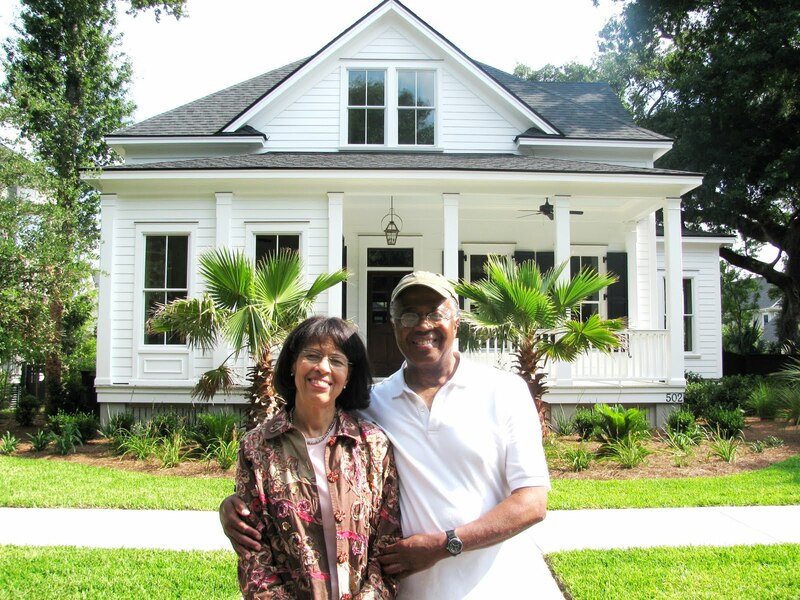 They were just handed the keys to their Daniel Island Park custom home this month. We couldn’t be more excited that they are swapping one “C” for another and making the move from Connecticut to Charleston. Herb and Dolores built their custom home using Structures’ HouseSimple process. We were able to create their “dream cottage” over the course of just three trips to Charleston. Each trip was both fun and productive as we finalized the custom selections for their home. In between trips their email inbox was continually brightened with progressive pictures of the interior and exterior details of their home. Even with all of the pictures and updates, nothing could have captured the pure joy that spread across Herb and Dolores’ faces as they arrived at their new home to take in every detail in person. It was such a pleasure to walk them through and share in their excitement as they pointed out every detail and finishing touch that made this home their own. So glad we could be a part of truly making Charleston your new home. Can’t wait to stop by when you’re all settled!